How Do Social Networks Seem Like They’re Psychic? Occasionally, when you glance at the sidebar on Facebook, you might wonder how exactly it is that Facebook seems to know exactly how to cater to what you’re interested in. What you might not know is that Facebook has algorithms intended to help find the ads that suit you best. Since mid-2014, Facebook began using app and website data from your browsing habits, effectively going through your search history in order to determine which ads to target to you. While Facebook provides the ability to opt out of this, the default setting allows this sort of ad targeting to occur. More recently, Facebook revealed that they were rolling out a new advertisement option called Product Ads, which are dynamically optimized to ensure that the products you see in the advertisements are based specifically on your interests and activities, as well as your location and whether or not you have already visited the advertiser’s website or used their application. These will be particularly useful for showing different types of products that come from the same company, such as Target and Shutterfly. You may not realize how much information social networks can gather just from the things you have ‘liked’, the things you have posted and shared, and your general search history. One long-term study had subjects take personality tests and then used an algorithm based on their Facebook profile to see how closely their personality could be predicted alongside the test. The algorithm was able to produce a more accurate description of their personality than that subject’s friends and family. 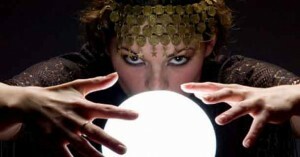 Facebook is not the only social network that has been used to predict things. One study took a look at the emotional language used on Twitter, comparing the amount of angry tweets to mortality rates for atherosclerotic heart disease in particular counties. The researchers in this study determined that Twitter was actually a more effective means of predicting heart disease than conventional methods that look at smoking, diet, or obesity. This is evidence that a lot can be learned from social networks and these sorts of studies could wind up serving greater purposes than just targeting advertisements.